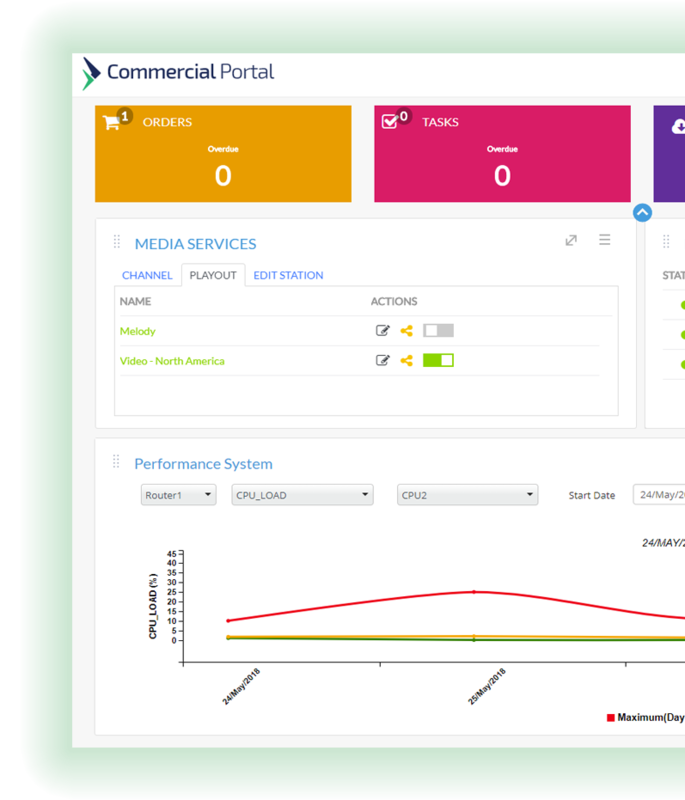 Commercial Portal | TIERONE OSS Technologies Inc.
Commercial Portal is a single ecosystem that provides visibility and control to service provider customers and internal operations staff while understanding that today’s complex myriad of legacy systems are not going to go away. Service providers today build custom portals to give limited visibility to their customers while hiding the mess from legacy systems. This disconnected approach causes frustrations with both internal staff and the business customer. The Commercial Portal provides a full suite of capability to interact with high value commercial customers with service fulfillment and assurance needs. It provides the ability for all employees to interact within the same ecosystem as the customer. Most important, it provides a simple road map to start the process of turning down legacy systems in a painless manner. The Commercial Portal crosses traditional BSS/OSS network boundaries in a secure scalable architecture. Our productized modular approach will leverage your existing investments seamlessly while hiding all of the complexity from the end customer and your internal operations staff. Finally, with the advent of virtualization and dynamic services such as SD WAN, customers are demanding visibility and control of the services that they are buying. ”Operations staff working from the same page in terms of what they see has repeatedly proven to increase trust with our customers. Enterprise customers have SLAs that they use to challenge service providers the quality of service being delivered. The results are a growing workforce focused on enterprise care as more customers are acquired. Maintain an accurate network topology including the customer services. Provides a real-time understanding of alarm impact on the customer. The system maintains monthly availability statistics on availability. The result is an environment where the customer has visibility and control of the services they get from the service provider and a marketplace for new services to existing customers. Use TIERONE’s Service stitching™ technologies to reverse engineer the network supporting the customer services and the details of services running on it.